On June 17, 1579, Francis Drake claimed California for England. He anchored his ship, the Golden Hind, just north of present-day San Francisco and named the new territory “Nova Albion.” But despite Drake’s claim in the name of Queen Elizabeth I, he was not the first European to explore California. Drake set out from England on December 13, 1577 with five ships. 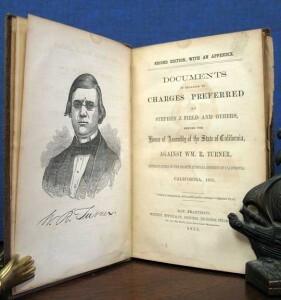 His mission was to raid Spanish holdings along the Pacific coast in the New World. Drake was forced to abandon two ships during the Atlantic crossing. Then the expedition encountered a series of storms in the Strait of Magellan. One ship was destroyed, and the other returned to England. Only the Golden Hind reached the Pacific. Drake raided Spanish settlements and captured a heavy-laden Spanish treasure ship. Drake continued up the West Coast of North America in search of the fabled Northwest passage. He got as far north as present-day Washington, stopping near the San Francisco Bay in June 1579. In July, Drake’s expedition set off across the Pacific, eventually rounding the Cape of Good Hope and returning to England. Drake returned to Plymouth, England on September 26, 1580. Queen Elizabeth I knighted him the following year on a visit to his ship. California gets its name from a mythical island populated by Amazon women who use golden tools and weapons. It appeared in a popular romance novel called Las Sergas de Esplandian by Garci Rodriguez de Montalvo. 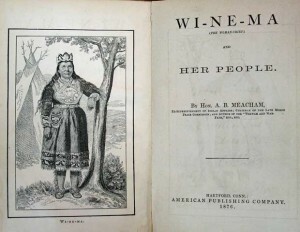 The book went through several editions, though the earliest extant copy dates from 1510. When Spanish settlers explored what’s now Baja California, they believed that they’d discovered the mythical island. It was Portuguese adventurer Joao Rodruigues Cabrilho, better known as Jose Rodriguez Cabrillo, who disabused the Spaniards of the notion that California was an island. Little is known of Cabrillo’s life before 1519, when his name first appears in the ranks of those serving conquistador Hernan Cortes. Cabrillo participated in the conquests of both Mexico and Guatemala. He was also involved in military expeditions to southern Mexico, Guatemala, and San Salvador. Cabrillo eventually settled in Guatemala and by 1530 had established himself as a leader of Santiago, Guatemala. He returned to Spain briefly to find a wife, marrying Beatriz Sanchez de Ortega. The couple would have two sons. Then in 1540, a major earthquake destroyed Santiago. 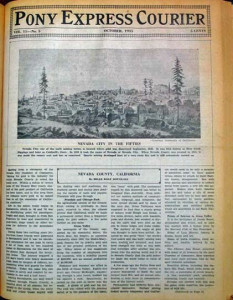 Cabrillo’s report to Spain on the devastation is considered the first piece of secular journalism published in the New World. Soon Spain was looking to expand northward. Francisco de Ulloa had recently explored the Gulf of California and proven that California was not an island after all (though the misconception persisted back in Spain). Now, Guatemala governor Pedro de Alvarado commissioned Cabrillo to lead a mission up the coast. He believed that Cabrillo and his men would find the fabled wealthy cities of Cibola, which were thought to be somewhere along the Pacific coast north of New Spain. The explorers also held out hope of discovering the “Straits of Arain,” rumored to connect the North Pacific and the North Atlantic. On June 24, 1542, Cabrillo sailed out of the port of Navidad (modern-day Manzanillo). He took with him a crew of soldiers and sailors, along with merchants, a priest, slaves, livestock, and enough provisions to last two years. By September 28, 1542, Cabrillo had reached a “very good enclosed port,” now known as San Diego Bay. He and his crew stayed there for several days before heading up the coast. They visited a number of islands before turning around due to adverse weather conditions. Cabrillo died of complications from a broken leg on January 3, 1543. His exploration helped to dispel geographical misconceptions and to expand the Spanish empire. 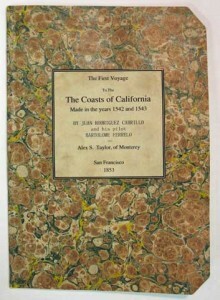 Over three centuries later, Alex S Taylor, a resident of Monterey, California, wrote the history of Cabrillo’s expedition. 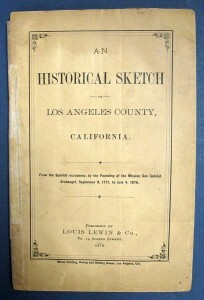 First published separately in 1853, The First Voyage to the Coasts of California is considered an important work, indeed; it was the first work of California history actually published within California. Thanks for reading! Love our blog? Subscribe via email (right sidebar) or sign up for our newsletter--you’ll never miss a post. 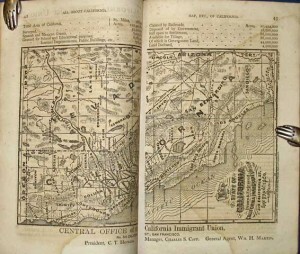 This entry was posted in 19th-Century Literature, Antiquarian Books, Antiquarian Maps, Californiana, Collecting, History, Uncategorized and tagged California, Californiana, colonialism, expansion, exploration, Juan Rodriguez Cabrillo, Sir Francis Drake on June 18, 2014 by tavistock_books.